Defining what it means to be a man in the 21st century. Career. Relationship. Life. Discover what development areas you need to target—today! Navigating the corporate world. Making it less lonely at the top. 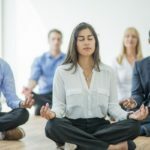 Public and corporate programs to develop and apply mindfulness. Structured programs to develop high-performing leaders and teams. Hi, I’m Neil. I’ve spent 20+ years on a personal development journey, while operating in a business context. I’ve worked in high-pressure corporate environments and spent even more time in the trenches – winning and losing – as an entrepreneur. I’ve studied business, psychology and trained as a coach. I’ve spent more than 2,500 hours training coaches (they say you only really learn something when you teach it) and at least 25 years practicing meditation. Most importantly, I’ve tested everything I’ve learned. This practical application and testing what works is what best qualifies me to do what I do. You can read more about my services below. MEN, YOU are not alone! Whatever it is, there is someone else facing a similar situation, or worse. What matters is having someone to talk to who can give you objective feedback and set you on the right path. Usually, your friends are not that person. They tend to tell you what they would do, when it’s not them in the situation. Or they try to make light of it by trying to make you feel better. These are not always helpful. A mentor or coach is probably a better option. 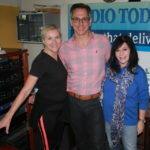 Listen to this conversation between myself and Dorianne “Dr D” Weil on Melanie Walker’s show on Radio Today in November 2017. We talk about the male midlife transition (the old midlife “crisis”): how it has started earlier than it used to and how men are facing some very different issues from a generation ago. To listen, follow this link. THIS IS a talk I gave at the Dimension Data women’s leadership program. I took the audience on a journey beyond the statistics to the meaning of work for men versus women. In short, I say that men’s sense of self-worth and the level of meaning they derive from their life – whether it’s all been worth it or not – is more strongly tied to their professional achievements than it is for women. Women have a more innate sense of self-worth. This has all kinds of implications, like higher suicide rates among men. Short, pithy, poetic and powerful leadership insights for the modern world. 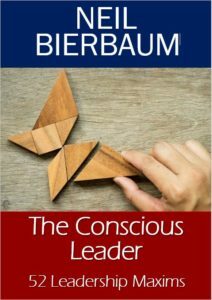 Written in a style drawn from the ancient wisdom tradition but with relevance to the modern leadership context. None of the usual cliches here, these are original and hard-hitting and will expand your perspective. You can read this book in one sitting. However, you would do better to read one maxim a week—there are 52 after all—and use it to support your self-development process. You can also dip into it when you are dealing with a conundrum and need guidance—either by focusing on the problem and opening to a page as you feel guided or by using the quick reference guide at the end to select a particular theme. This is a book that you’ll want to keep near at hand, and refer to often. DEFINE FOR yourself what it means to be a man in the 21st Century. The old rules no longer apply? What are your values? What would meaningful success look like for you? Are you committed to achieve your potential? AS YOU climb the ladder of success, the demands become less technical and more behavioural. 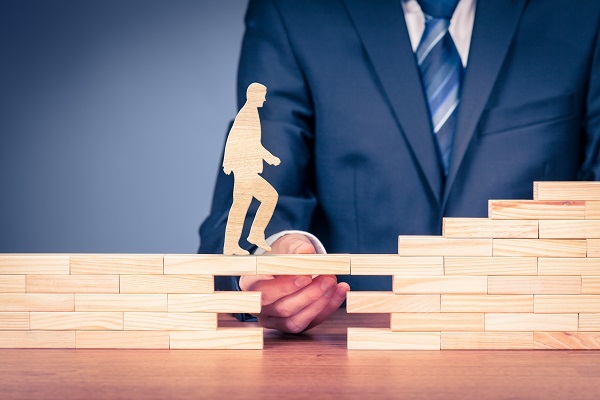 Develop your leadership skills as you move from one level to the next. Identify and develop your behavioural strengths and deal with your blind spots and avoidances. Define your authentic leadership brand. NO MAN is an island and no leader is without a team. Developing leader and/or team in isolation from each other does not produce sustainable results. Working together produces exponential benefits to move from being conflict-ridden to high-performing. MINDFULNESS IS about so much more than paying attention while chewing your food, or chilling out to the sounds of nature. When applied properly, mindfulness is the salt in the mix that improves performance and changes your experience of life. MY COMMITMENT is to make a real, tangible difference in the world, to the way people conduct their lives. To inspire, touch and move people to grow consciously, which means: to gain greater self-awareness and thereby improve self-management in order to have a different, better experience of life; and to act for the greatest good (harmony and ongoing, shared prosperity) of all spheres of life. SINCE ALL human endeavour is achieved through one’s efforts in relation to other people, my sessions are always targeted at improved performance through a greater awareness of self in relationship with others. I use powerful questions to support you to get the insights that you need. I partner you to convert those insights into actions, and I make sure you measure your actions. Through this, we ensure that you habituate new, productive behaviour patterns. 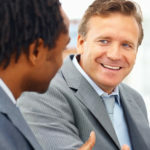 In the case of executive coaching, I make sure we get input from your sponsor, the company. For teams, I work with leader and team together, bringing in real work issues to create a live, action-learning environment. 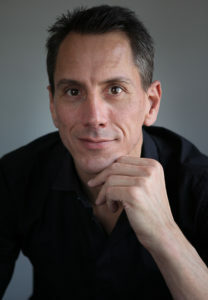 I PROMISE to deliver a state of optimal performance through mindful awareness and personal mastery, a result which I call Personal Effectiveness. People high in personal effectiveness experience being authentic & successful, confident, caring & conscious, and powerful & peaceful. YOU HAVE most likely been exposed to those pithy aphorisms of the ancient or Eastern sages that people share as memes on Facebook. When you read them, the really good ones, you probably find yourself going, Yes, that’s so true. In those moments, your mind goes quiet. By contrast, when you are given information in the form of an academic lecture or text, your mind gets busy with thinking. Thinking leads to more thinking, and things can get quite noisy in your mind. When your mind goes quiet, it’s because you’ve had an insight – or a reminder – into the way things are without any interpretation that is based on historic, cultural, personal or intellectual bias. An insight cuts through subjective thinking, and knowledge-based learning, to see things as they are. Ontological coaching is a method of questioning that delivers this type of insight, thick and fast, on the issues that you’ve been going around in circles analysing for months and years. It supports you to stop your normal spiral through delivering an insight and, in that space, to make plans to exit the spiral and set a new course. FOR THE most part, our personalities are positive and, by expressing them, we can offer our gifts to the world. The problem is that those same personalities include what we call a defence mechanism: the things we’ve learned to avoid at all costs. Some people avoid breaking the rules at all costs, while others avoid seeing them at all – they pretend the rules don’t exist; some avoid risk at all costs, while others avoid failure at all costs; some avoid conflict at all costs, while others avoid people at all costs. We each have one or two key areas of avoidance which are constantly being triggered and send us spiralling into habitual patterns. 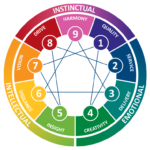 The enneagram is a tool that identifies your core gifts and avoidances, and links these to your habitual behavioural patterns. It joins the dots for you and for me as coach in a way that vastly accelerates the discovery phase of the coaching process, and deepens the conversation throughout. Get your Enneagram Report and One-on-One Debrief today. MINDFULNESS HAS become a buzzword. Yet it’s about so much more than just being present while you eat and walk. Applied properly, mindfulness is at the heart of all personal development. The first step towards improving or transforming oneself is awareness, or being able to observe oneself objectively. This is easier said than done. When a person is angry, or scared, they are not likely to become aware. They tend to “lose themselves”. 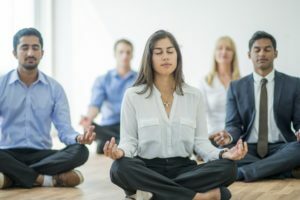 Mindfulness trains the mind to recognise when it’s in a reactive state, to become present, and then to make a better choice about how to act in the situation. Clearly there are many ways to achieve this. However, mindfulness is like the “salt in the mix” that brings up the flavours of the dish – it enhances the gains you make through any other kind of practice or process. I need to know what my issues are! When you know the problem, the answer presents itself. Create the clarity you need with the Enneagram Report and Debrief. I don't want coaching, but could use a kickstart! The Potentiate Package is the ideal solution if you’re at a crossroads and need a little direction! I'm worried I'll never reach my potential! You’re not alone, and your friends are not helping. Have a look at your options. It's a dog-eat-dog world - and I'm all alone! THE BEST SPORTSPEOPLE HAVE COACHES! The margins of success get smaller, the higher you climb. 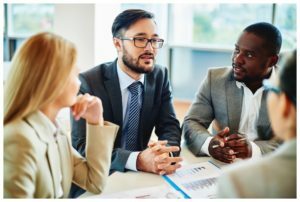 Consider your executive coaching options today! My staff will be the end of me! I'm tearing my hair out with frustration! TEAM PERFORMANCE CAN BE LEARNED! They don’t teach us how to get along, but it’s never too late to start! 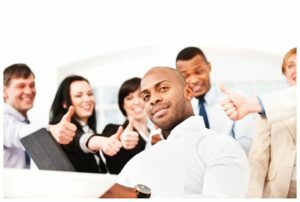 Find out about team coaching. I need to learn to manage myself better! Being present and peaceful is easier said than done! Have a look at Practical Mindfulness.